[post_content] => Practitioners will discuss the different approaches they take in supporting patients with a variety of mental health issues at a Society symposium on emotional health and wellbeing in London on November 17. The event - held at Resource for London on Holloway Road – is part of the Society’s year-long campaign on mental health which is highlighting the contribution that homeopathy can make in this area. Speakers include Selina Hatherley RSHom who will share her experience of using a ‘holistic toolbox’ in an integrated approach to healthcare, while Bob Blair will present a case study of a woman with panic attacks and chronic depression to demonstrate how the Sensation Method can be used to find a remedy that resonates with the patient at every level of their suffering. 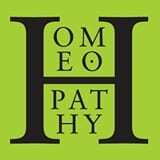 Psychotherapist Nicola Vanlint will consider safeguarding issues for both clients and practitioners and Tessa Jordan, RSHom, will discuss the links between homeopathy and Dr Bach’s system of healing with flower remedies. The event is intended both for homeopaths and for practitioners of other disciplines. A vegetarian lunch and refreshments will be available. Pamela Stevens, the Society's Marketing Manager, said the symposium had been conceived to widen understanding around mental health issues and the role homeopathy might play in tackling them. "Concern about mental health and its impact on individuals and wider society is rising and rising. We hope this event will offer ideas and inspiration to a range of professionals for new ways to deal with the challenges it presents as well as widen people's understanding of the role emotional health and wellbeing plays in our general health." Practitioners will discuss the different approaches they take in supporting patients with a variety of mental health issues at a Society symposium on emotional health and wellbeing in London on November 17. The event – held at Resource for London on Holloway Road – is part of the Society’s year-long campaign on mental health which is highlighting the contribution that homeopathy can make in this area. 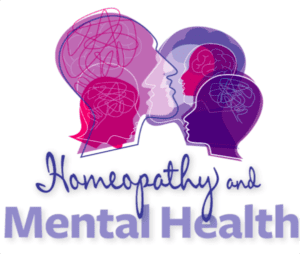 Pamela Stevens, the Society’s Marketing Manager, said the symposium had been conceived to widen understanding around mental health issues and the role homeopathy might play in tackling them.